Good health is more than regular check-ups. 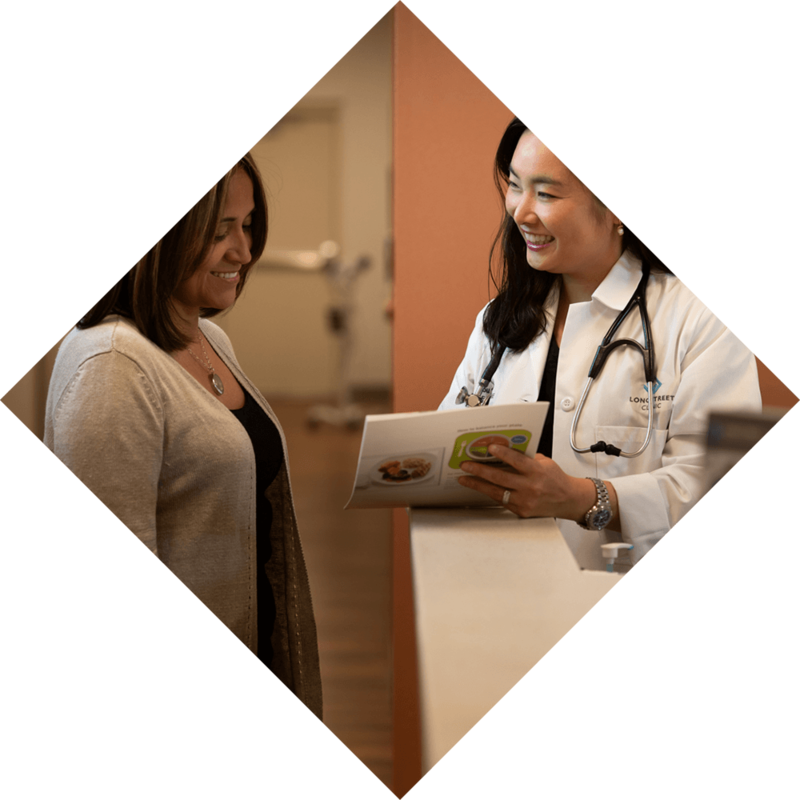 At Longstreet Clinic, we understand that lifelong health and wellness require more than just regular check-ups. That’s why we offer patient education services to patients who need them, including diabetes education and nutrition therapy. Diabetes Self-Management Classes are available for physician-referred patients who have received an individual evaluation by one of our registered dietitians and meet the recommended criteria for the group class. These classes provide comprehensive diabetes education including nutrition management, training on glucose monitoring, incorporating physical activity into your lifestyle, self-care to prevent problems associated with diabetes and much more. Our Certified Diabetes Educators, provide training in both individual and group settings. A Diabetes Support Group also meets on the second Thursday of each month (except during July) at 10 a.m. in Longstreet Clinic’s second floor classrooms at 725 Jesse Jewell Parkway SE, Gainesville. Classes are free and open to anyone with diabetes and their family members. For more information, please call (770) 533-6551 or (770) 297-5648. Medical nutrition therapy plays a major role in the treatment of many threatening illnesses including diabetes, hypertension and cancer. A reduction in the need for medication, hospital admissions and complications are all benefits of medical nutrition therapy. It can also improve the quality of life for ill patients. Nutrition is important throughout our lives. It affects growth and development and helps prevent disease. For more information on medical nutrition therapy or to schedule an appointment with a registered dietitian, call (770) 297-5705.